Eiry Gwenllian Williams, 21, lives on a mixed livestock farm near Aberystwyth, Ceredigion. She graduated in veterinary biosciences earlier this year. 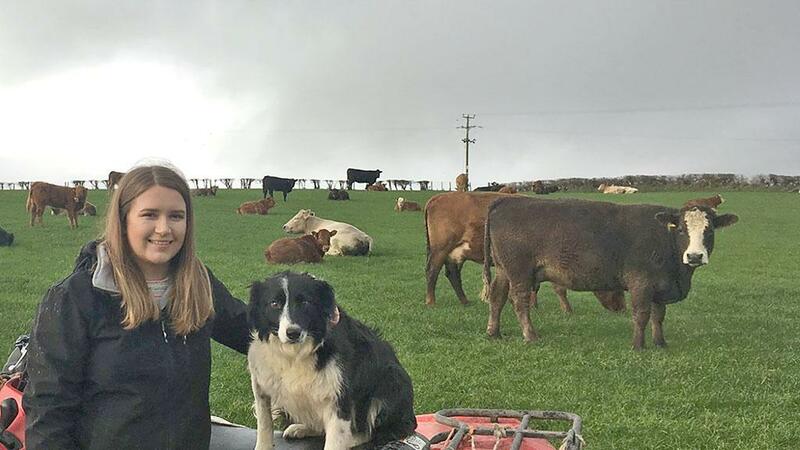 Day-to-day: Being brought up on a family farm in the heart of Ceredigion, I developed an interest and passion for the agricultural industry from a very young age. I enjoy every aspect of the farming life, especially helping out with livestock duties. We keep more than 1,000 Mule and Aberfield cross ewes, along with 200 ewe lambs and 50 continental cross suckler cows which are crossed with a Blonde d’Aquitaine bull. I graduated this year with a firstclass honours degree in veterinary biosciences after studying for a year at the University of Nottingham and then for two years at Aberystwyth University. I am now working on a research project for Ibers and Hybu Cig Cymru, where I am investigating the design and development of a targeted selective treatment strategy for nematodes in the peri-parturient period of ewes. This work involves a large variety of tasks, ranging from lab work, office based work, collecting samples from farms and a chance to network within the industry through conferences and events. Young Farmers: One of my main hobbies is attending my local Young Farmers Club (YFC), Llangwyryfon YFC. I am the chairman of the club this year, and enjoy taking part in all the activities that the YFC has to offer. My favourite competition is stockjudging, and I have won both junior and senior stockman of the year in the county, along with winning at the Royal Welsh Show. I was fortunate enough to gain a place on the Junior Agri Academy programme, a joint initiative between the YFC and Farming Connect. This was a valuable experience which enabled me to travel to Brussels to visit the European Parliament. Brexit: It opened my eyes to the major role the European Union plays in UK farming. This is one of the reasons why I am very concerned for the future of agriculture post-Brexit, especially for Welsh family farms. We all know that farming is the backbone of rural communities, but in Wales farming plays a pivotal role in maintaining the Welsh language and culture, with more than 90 per cent of the agricultural workforce in some areas of Wales being Welsh speakers. Having unfettered access to the single market is vitally important so that we can sell our produce, as well as agricultural policies that ensures a level playing field for farmers in the UK. Looking to the future, I believe it will be more important than ever to invest in scientific and technological research. As farmers we need to be ahead of our game, and in my opinion accessing the latest research and innovation will be key to success.